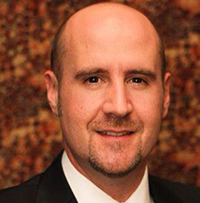 Eric Willmarth, WLMT is owner and operator of Chippewa Valley Therapeutic Massage. 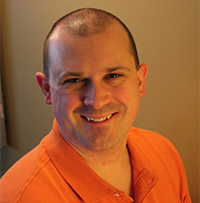 He is a 2002 graduate from The Minneapolis School of Massage and Bodywork with a degree in Massage Therapy. Eric previously owned his own massage practice in Olympia, WA from 2002 to 2008. 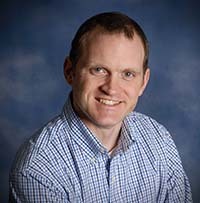 Eric currently teaches Deep Tissue and Sports Massage at Globe University in Eau Claire. In the past he has taught Pregnancy and Swedish massage along with Business of Massage and Pathology. Jonathan Dervetski an Eau Claire native, is a Licensed Massage Therapist, graduating from the Massage program at Globe University’s Eau Claire Campus in March of 2013. Living in Eau Claire with his wife and son, Jonathan is an avid volleyball player and has been a volunteer coach at Eau Claire North for the past 9 years. Jonathan knows the aches, pains and injuries associated with sports and athletics. He is a firm believer in the healing power of touch, and is drawn to the benefits Therapeutic Massage can offer those who have recently been injured, had surgical procedures, sport/training injuries, or everyday mishaps. Jonathan was offered the opportunity to contract at Chippewa Valley Therapeutic Massage by his former instructor and the owner of CVTM, Eric Willmarth in June of 2013. Jonathan had expressed his desire to perform massage that was more Therapeutic in nature than that in a typical spa setting. Having taught Jonathan in both Deep tissue and Sports Massage classes at Globe University, Eric agreed to give Jonathan access to a room to begin his massage career. Nathan Schlieve, LMT is an Eau Claire native and graduated from Globe University in June of 2011 with an Associate’s Degree in Massage Therapy, and is a state and nationally certified massage therapist. Born, raised and educated in Eau Claire, Nathan is proud to call Eau Claire his home. It was not until Nathan turned 36 years old when he found his true calling and passion. Nathan actually hates calling massage his ‘job’, it’s his calling. Ask him and he will tell you that he absolutely LOVES being a massage therapist, and being a healer has been the most rewarding profession of his entire life. Nathan applies that passion to every single client and customizes each session to the needs of the individual. He applies multiple modalities to release muscle pain, provide relief from aches and pains, balance the body, and promote optimum healing. Niki Lee, NCTMB, ACE-CPT, RYT, RT®(CT) is a nationally certified Massage Therapist, Personal Trainer, Yoga Instructor, and athlete herself who lives to educate, motivate, and inspire others. Niki completed her massage therapist training at Globe University in Eau Claire, WI where she met her instructor, Eric Willmarth-owner of Chippewa Valley Therapeutic massage-who inspired her to dig deeper into the therapeutic side of massage. Niki first realized her interest and passion belonged in the medical field in 1999 when she started the Radiography program at Chippewa Valley Technical College. Graduating in 2004 with an Associate Degree in Applied Science, Niki began working as a Computed Tomography Technologist (Cat Scan). After 10 years she realized western medicine was not her calling and completed her 200Hr Yoga teacher training at the Yoga Center of Minneapolis. After her son was born in 2009 (and after gaining a little too much weight) she began her journey into becoming a Triathlete and dabbling into Cross Fit, later getting her Personal Trainer certification through the American Council on Exercise in 2012. After many of her own injuries she realized the benefits of massage and thats where the next journey began…..
© Copyright 2019 Chippewa Valley Therapeutic Massage. All Rights Reserved.